This, we imagine, is a fairly common scenario across the land. 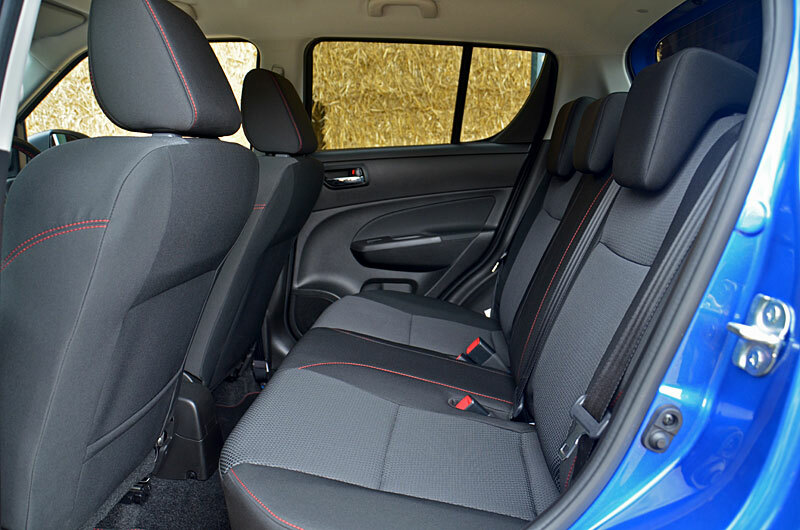 For years, you’ve owned small, fun-to-drive peppy hatchbacks, but now the arrival of a young family mandates the swap to something a little more practical; something with five doors that allows you to install children in booster seats without dislocating something. The problem is you’re not ready to give up your sporty little number just yet. But you’re also constrained by a newly tightened budget. 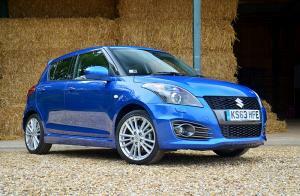 There are still options, however, and one of the more interesting comes from Suzuki in the form of the Swift Sport. 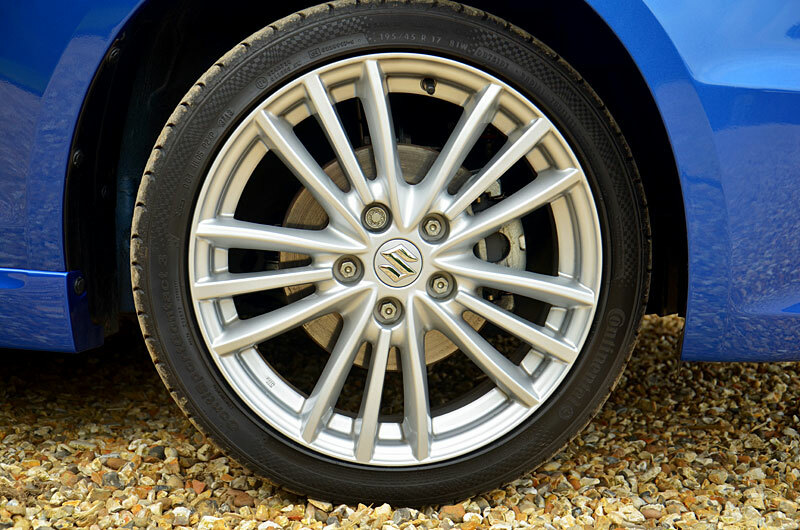 Launched in its current form in 2012, the Swift Sport has earnt respect among many for capturing some of the mojo that made the Mini popular. Last year, it gained the option of five doors, but Suzuki have managed to adapt the body-shell without sacrificing the Swift’s cheeky character. The styling is still dominated by the large headlights and gaping honeycomb grille, while the blackened A- and B-pillars blend the glass area together to help hide the extra doors. 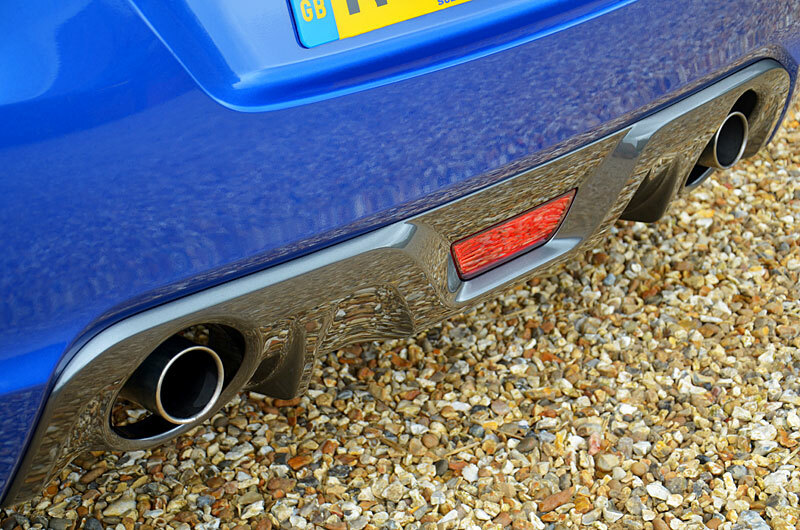 At the back, a pair of exhausts emerge invitingly through a grey-coloured diffuser, while a sporty roof spoiler finishes off the look. 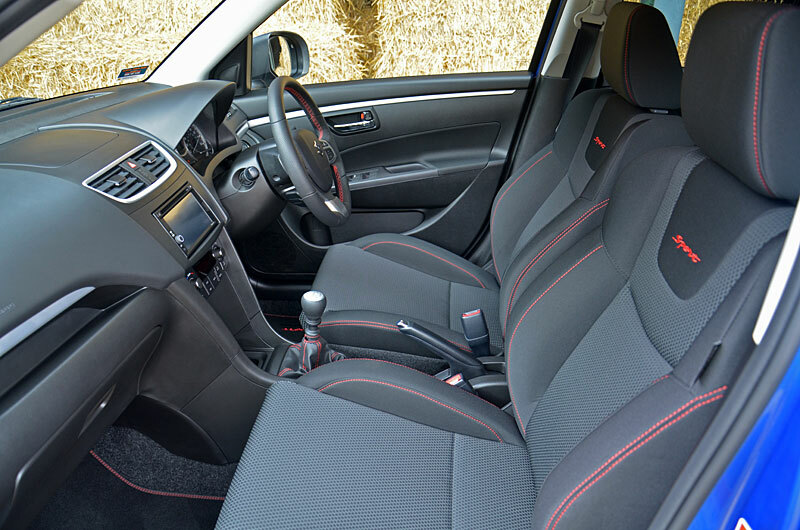 The interior features a well-bolstered pair of sports seats with alluring red stitching; they’re notable not just for their ability to restrain you during enthusiastic cornering, but also for their wide range of adjustment, something that’s matched by the chunky steering wheel. The rest of the interior is simply laid out – while on the face of it that may sound like damning with faint praise, in truth there’s something appealing about its fuss-free nature; the instruments are clear, the switchgear is where you’d expect it to be, and everything operates reassuringly. Even the Garmin-sourced navigation system works well, with some of the clearest instructions we’ve seen. 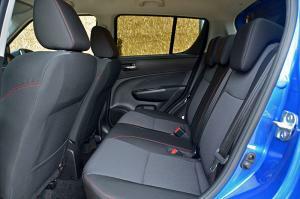 A couple of six-footers can just about make themselves comfortable in the back, while three full seat-belts and a pair of ISOFIX mountings make carting kids about easy. 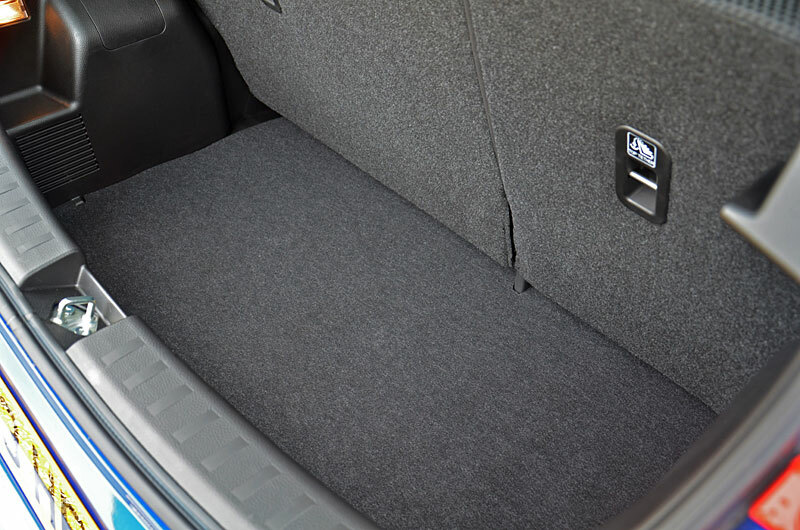 As you’d expect for a small car, boot space isn’t huge – 211 litres with the seats in place, rising to 512 litres with the seats folded, although the seat backs fold on top of the bases where they still take up quite a bit of space. The loading sill is quite high, too, but let’s not forget this is a small runabout, not an estate car. 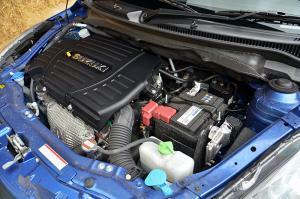 Power comes from a 1.6-litre four-cylinder petrol unit developing a rather modest-sounding 134hp. 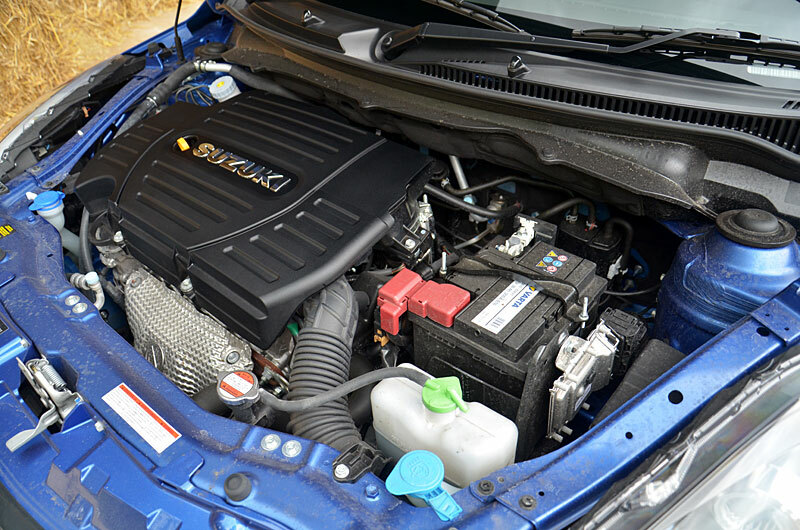 In a world dominated by 200hp hot hatches, that may sound a little, well… boring, but Suzuki set out to create a driving experience that wasn’t built around the power delivery and instead required a little extra driver involvement – the way hot hatches used to be before turbocharging became de rigueur. 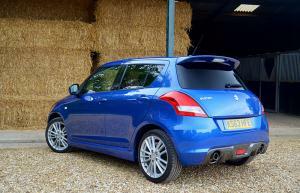 Below 4,000rpm, the Swift feels a little restrained. However, this also makes for a docile nature that’s appreciated around town, and despite limited torque reserves of 160Nm it’s also very forgiving of being left in the wrong gear. 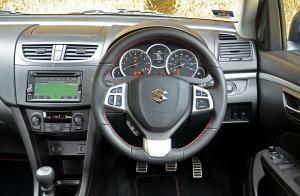 Speaking of gears, the six-speed manual ‘box has a light and easy-going shift-action. 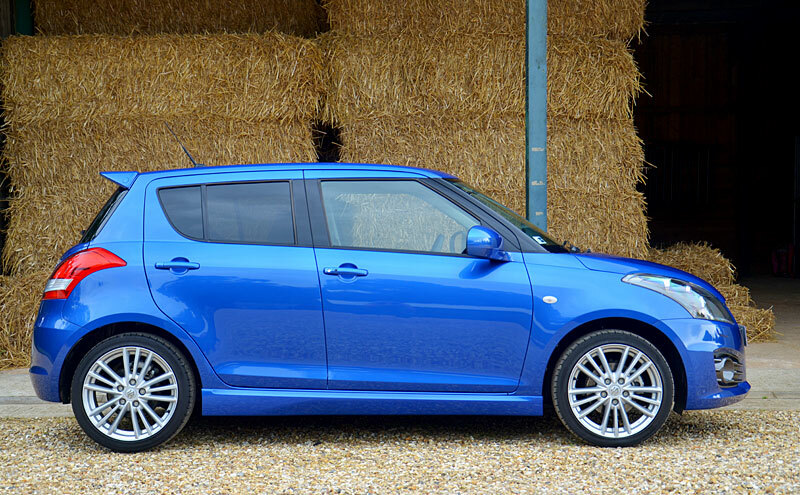 With peak power arriving just below 7,000rpm, extracting the best from the Swift requires dropping a ratio or two and working the engine a little harder. But then, that’s what the Swift is all about. It’s not a car to bimble around in and then lazily drop the hammer, expecting the engine to sort it all out for you. No, the Swift is a car that expects you to actually drive it. 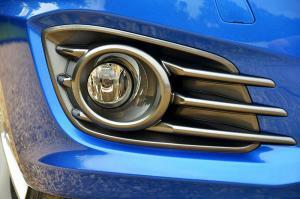 Much of this agreeable character stems from its well-balanced chassis set-up. The ride is undoubtedly on the sporty side of firm, so there’s no forgetting you’re in the Sport model, but it never becomes annoying. 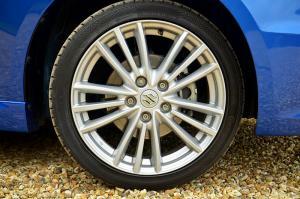 The worst there is to deal with is a slight tendency to suffer on heavily undulating dual-carriageways, but that’s a function of the short wheelbase as much as anything. All of this needn’t cost the earth, with an official economy figure of 44.1 mpg which – in common with the Suzuki S-Cross we tested earlier in the year – we found to be strangely attainable. In fact, on a longer journey, 50 mpg should be entirely realistic. CO2 emissions of 147 g/km place it in VED Band F (£145 pa). It’s well priced, too, with the five-door wearing a £14,499 sticker – only £500 more than the three-door – and featuring a standard spec that includes satnav, xenon headlights, keyless entry, cruise control, climate control, and other goodies. At this end of the market, there are few cars that are this fun to drive. We can think of only one other, the Abarth 500, and while the Italian car might have a greater sense of theatre, the Suzuki nails it for everything else.